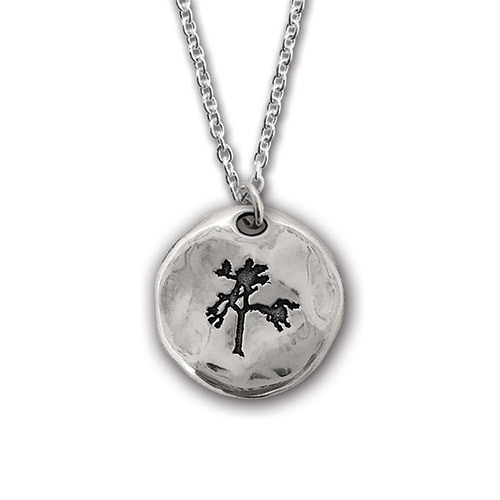 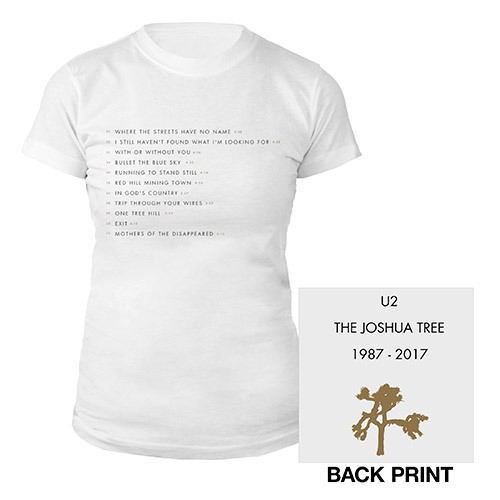 Black, 100% cotton, tank top with The Joshua Tree printed on the front and reads 'The Joshua Tree'. 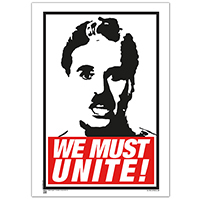 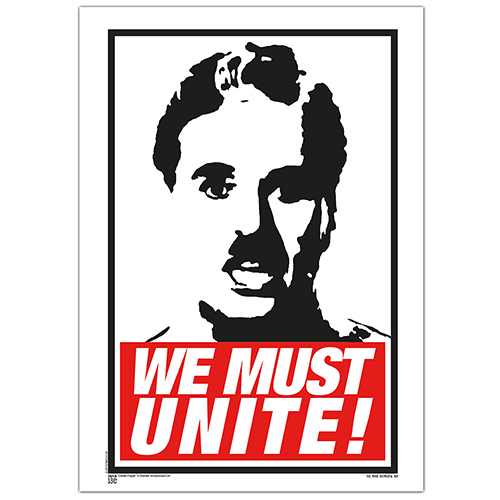 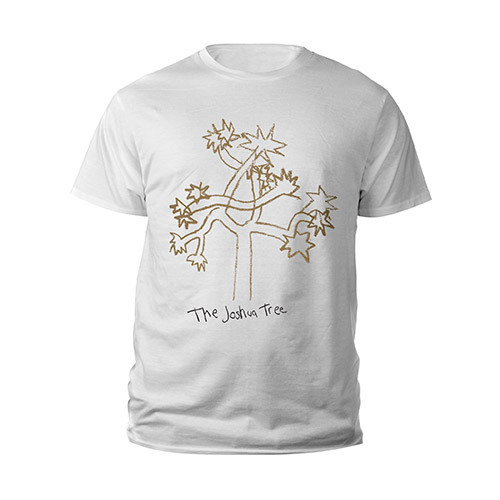 Puff metallic ink. 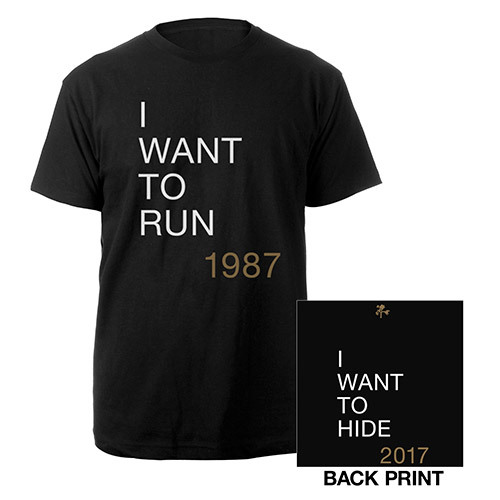 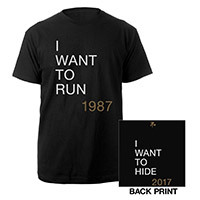 Black, 100% cotton men's t-shirt, that reads 'I want to run 1987' on the front and 'I want to hide 2017' on the back. 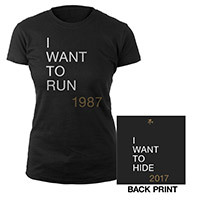 Black, 100% cotton women's t-shirt, that reads 'I want to run 1987' on the front and 'I want to hide 2017' on the back. 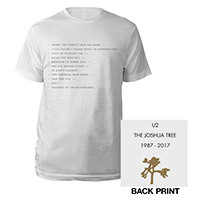 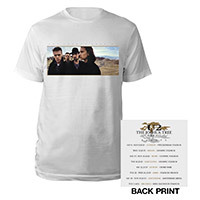 White, 100% cotton, short-sleeved women's t-shirt with the track listings from The Joshua Tree album printed on the front and U2 THE JOSHUA TREE 1987-2017 on the back. 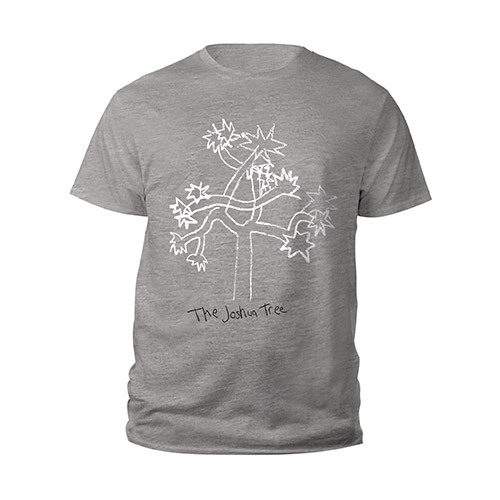 Grey kids tee featuring Joshua Tree design on the front. 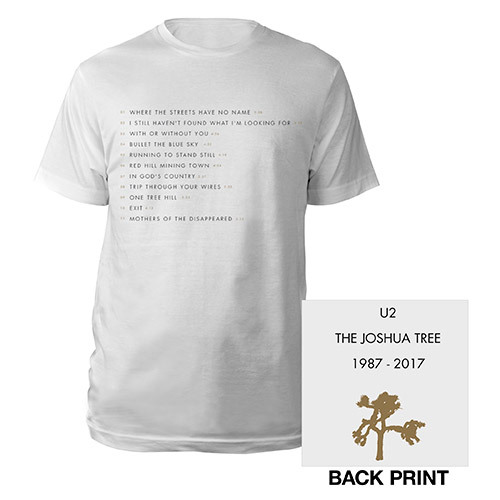 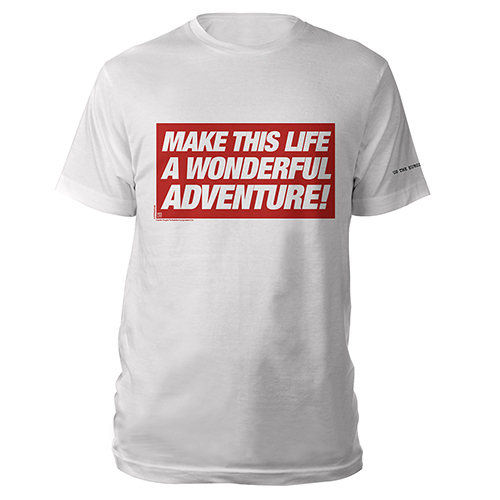 White, 100% cotton, short-sleeved t-shirt with the album photo printed across the front and the European 2017 dates listed on the back.